Blythe is a farming community of some 20-odd thousand souls sitting on the eastern edge of the Colorado Desert of Southern California. Its farms are kept alive by water from the nearby Colorado River. Blythe straddles Interstate 10, halfway between Phoenix and Los Angeles. Its diners and motels cater to the unending carousel of interstate travelers. Blythe has been a city for 102 years. Blythe has twenty-four churches, six parks, three boat ramps, three banks, three public elementary schools, two newspapers, two museums, two radio stations, one high school, one junior college, one public golf course and one funeral home. And one Disaster Action Team Captain. Her name is Alice Dean. Dean began with the American Red Cross in the late 1990s and has been full-time since 2012. For many years she was, in her words, a “Lone Ranger.” Now she has eight volunteers in Blythe, including one of her four sons. As a Disaster Action Team (DAT) Captain, Dean is on the front lines in her community. Whether it’s a home fire, flood or other disaster, Dean and her team are dispatched to help people in Blythe who have been affected by an emergency. Dean and her volunteers quickly mobilize to provide help and hope in the form of shelter, food, emotional support and health services, recovery assistance and referrals, and more for neighbors in need. Service to other people is, she believes, a way to get out of your own self, your own problems, when you serve other people. Dean is well-versed in emergencies. She worked in the past as a dispatcher for police and fire departments and as an EMT. “I like to go and feel like I’m helping. How can we help them? What are their needs? I like to come in, get the job done and go…knock on wood, we don’t have that many calls around here. Which is nice,” says Dean. 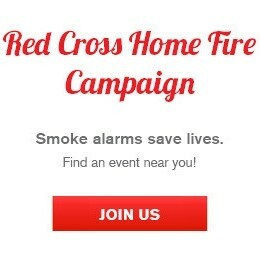 Blythe is part of the Coachella Valley/Morongo Basin Chapter of the American Red Cross and it’s one of the four chapters in the Desert to the Sea Region, which covers all of Orange, Riverside and San Bernardino Counties. 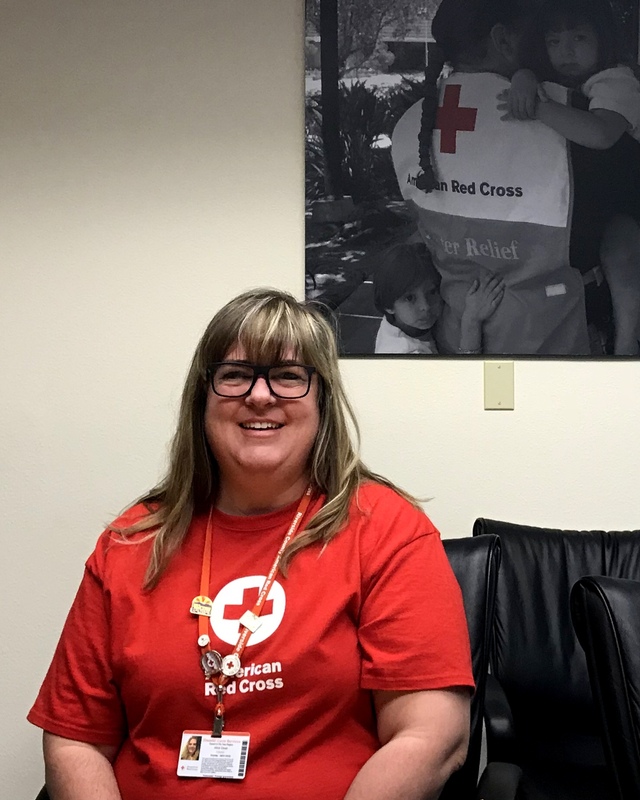 Dean anticipates an expanding role for the Red Cross in Blythe. But what Dean really wants is a vehicle. An Emergency Response Vehicle (ERV). Red Cross ERVs are stocked with all the supplies necessary to help families and entire communities in the immediate aftermath of a disaster. “I want to drive the ERV. . . or be a dispatcher and dispatch the crews. That would be fun, too,” says Dean. Dean believes volunteers should be aware of the wide variety of things they can do within the Red Cross. She believes there is a place for everyone. Alice Dean found her place. In Blythe.